From the cheerful red cardinal to the majestic white swan, the imposing California condor to the flamboyant great blue turaco, these delightful birds may make you forget your poker face! 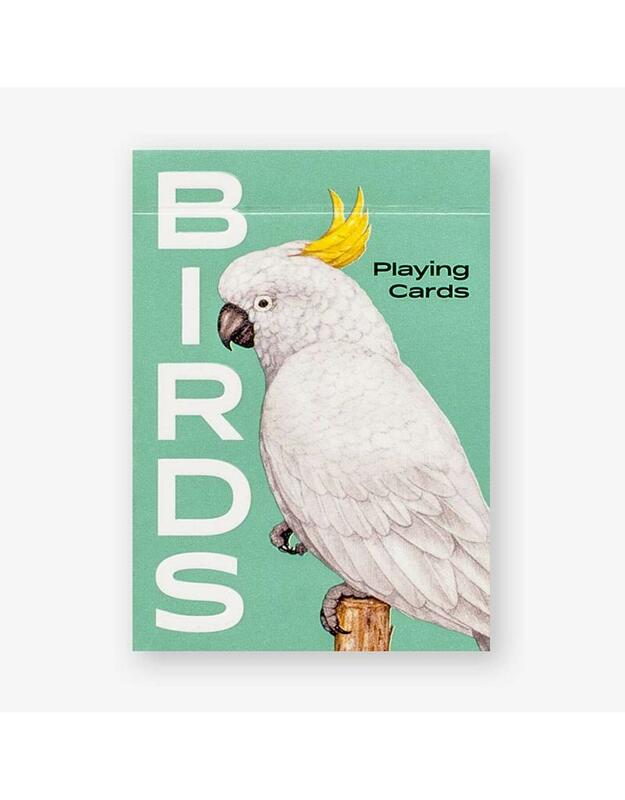 Chirp up your card games with the most beautiful birds in the world. 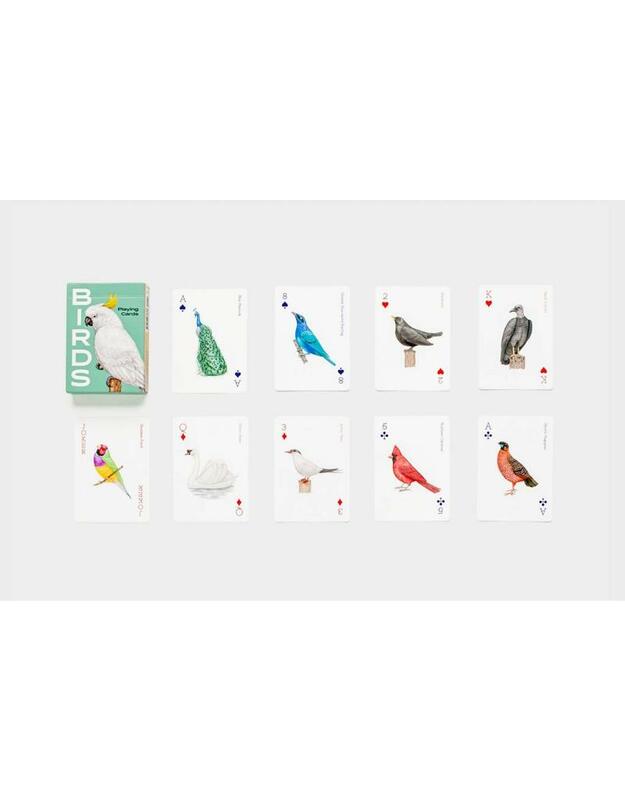 Includes 52 playing cards featuring illustrations of birds ranging from the familiar to the exotic, plus two jokers. 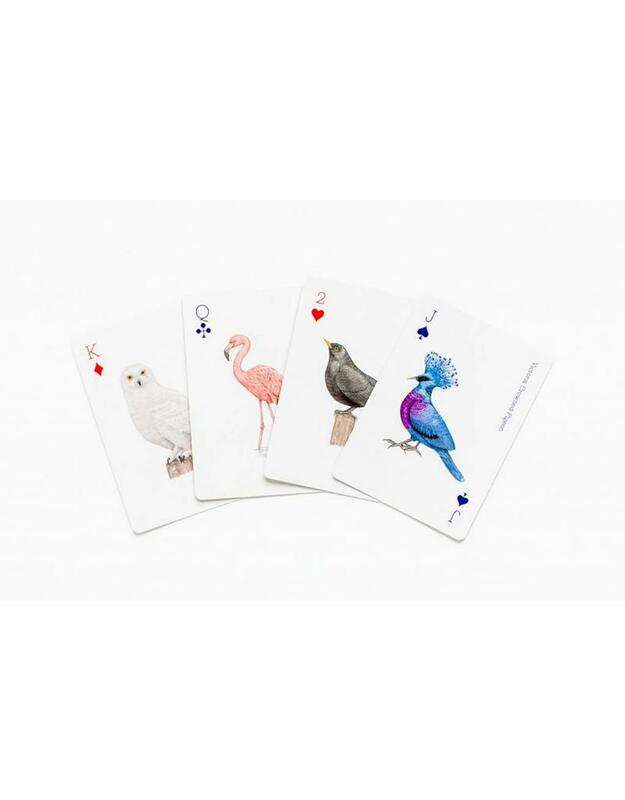 From the cheerful red cardinal to the majestic white swan, the imposing California condor to the flamboyant great blue turaco, these delightful birds may make you forget your poker face! Ryuto Miyake is an illustrator and graphic designer based in Tokyo, with a particular interest in birds.